RIO GRANDE CITY — The city made it clear they stand behind young immigrants whose future in the country has become more uncertain with the announcement of the phasing out of the DACA program by the Trump administration. The city commissioners here unanimously approved a resolution Wednesday that called on leaders from the federal and state government, including President Donald Trump to continue the Deferred Action for Childhood Arrivals Program which shielded immigrants who arrived in the United States as children from deportation. 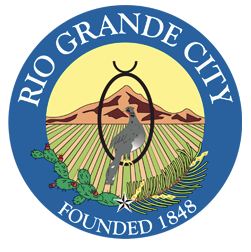 “The city of Rio Grande City embraces diversity and inclusion while recognizing the significant contributions by ‘Dreamers’ to our municipality, to the state of Texas, and to the United States of America,” said Mayor Joel Villarreal as he recited the resolution. The city’s public support for the program comes after U.S. Attorney General Jeff Sessions announced last week the Trump administration would dismantle the program, put in place by President Barack Obama in 2012, despite Trump’s previous assurances that individuals covered under the program didn’t have anything to worry about. The resolution passed by Rio Grande City also called on leaders to support and provide a path to citizenship. “The city of Rio Grande City believes that it is imperative to support those young individuals now burdened with fear of deportation and to provide them with a path to permanent citizenship,” Villarreal recited.